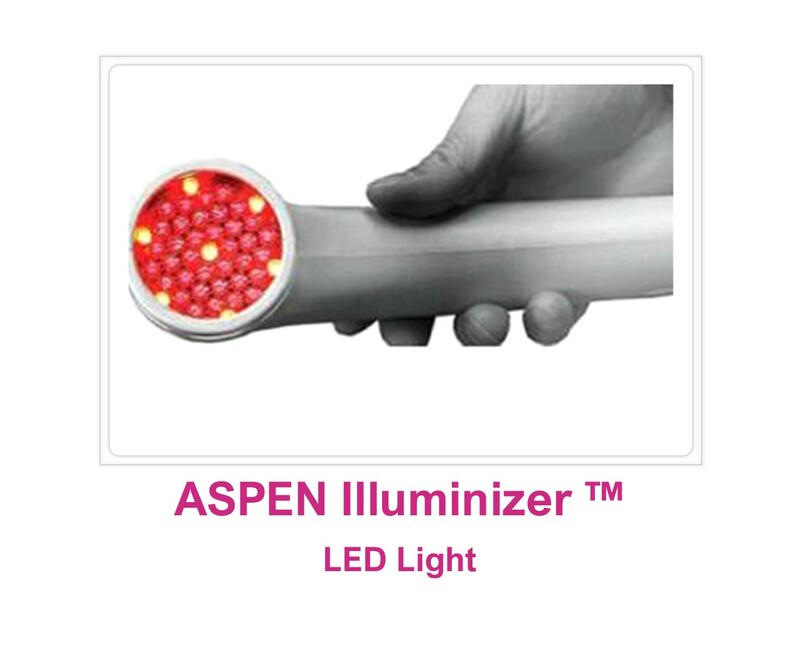 LED Therapy employs NASA® developed light therapy technology to improve wound healing. This hand held device has several uses. Can be used on open scars to improve circulation and vascular activity as well as collagen production to stimulate wound healing cells. Can be used in combination with Aspen Therapy to improve healing of bruising after surgery. Can be used to improve loss of sensation.